Sámi Cultural Centre Sajos is the largest congress and event building in northern Lapland. The premises are fitted with modern conference and interpretation technologies, internet connections, and can hold events for up to 430 persons. This architecturally fascinating Sámi Cultural Centre Sajos building was opened on the banks of the Juutuanjoki River in the village of Inari in 2012. Sajos is the home for the Sámi Parliament and Sámi culture. The centre is an interesting and appealing multicultural meeting destination. Sajos also has a restaurant, library and handicrafts shop. 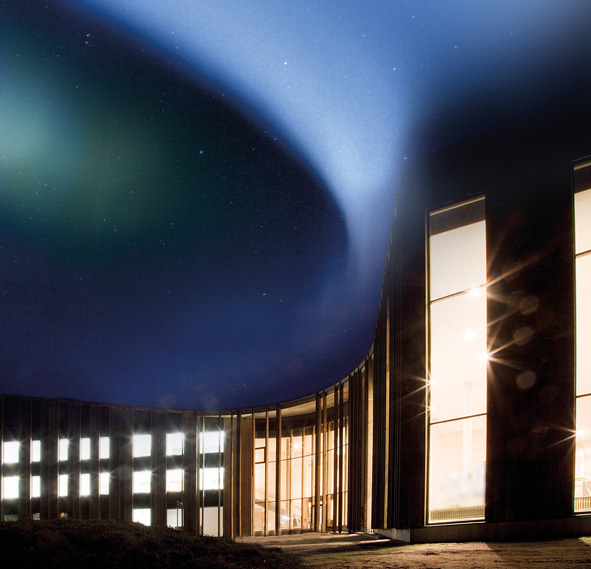 The Sámi Cultural Centre Sajos´s premises are perfect for concerts, theatrical performances, exhibitions and fairs, and also for varios special occasions.